25 eyelets per package. It's Raspberry. 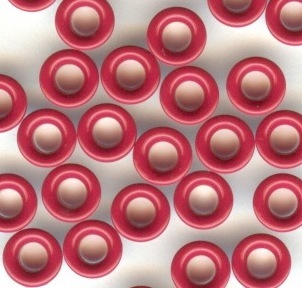 Our deep red 1/8" eyelet, perfect for small sewing. Set these and any other eyelets with our universal setting tool sold separately under "Tools".